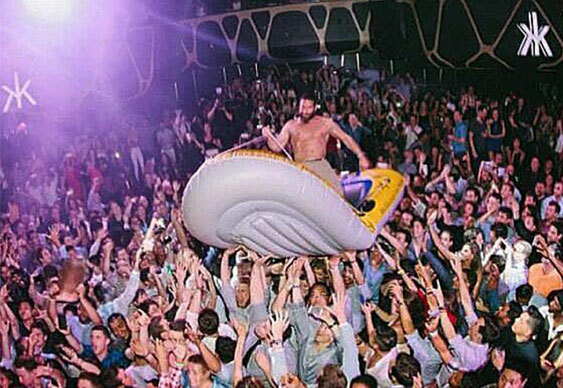 You can love him or hate him, but you must accept: the Bilzerian Phenomenon exists. Dan Bilzerian is known to have started his career as a poker player. His charisma helped him get some attention which he used well, and now he basically makes money from his exhibitionism. But it’s not easy to keep up public interest, so he made a very simple job description for himself: ‘Do crazy things!’ Well, here are ten crazy things about Dan Bilzerian; decide for yourself if you like him or not. You can guess if she made it without injuries. Well, no… and Janice Griffith, said adult movie actress, sued Bilzerian and demanded $85,000 for the broken foot. But the whole woman-throwing stunt was happening under contract as part of a photoshoot for Hustler magazine. The toss was considered an ‘act of God’ by court, and no one was held responsible for the unfortunate fall.